“WordPress University” is a 3-webinar series that will show you how to make WordPress work for your institution (and your sanity by solving many of your web problems). Whether you want to use WordPress to power your main website or to let your campus units easily manage their own web presence while preserving consistency and branding, the open-source platform WordPress can do far more than mere blogging. The faculty of this webinar series will not only teach you how this is done, but will also share tips, tricks, shortcuts and a selection of WP plugins for higher ed. Faced with crunched budgets and the need to rely on multiple web content creators, more and more institutions have chosen WordPress to power their website. Mike Richwalsky, Director of Marketing Services at John Carroll University, works for one of these institutions. He will explain how to set up, configure and run a high-traffic website with WordPress. Mike will also share best practices, useful tips and great WP plugins to help you manage virtually hundreds of content contributors. Got dozens of decentralized units in need of their own website and a user-friendly content management system? No problem. WordPress can help you provide the right web solution for decentralized units while keeping a unified brand throughout these multiple websites. Matthew Muro, Web developer at the University of Alabama will show how it is possible to set free and support multiple campus units with minimal involvement. He will also teach you how to create a branded WordPress theme based on the design of your institutional website. Stephanie Leary, Web Developer at Texas A&M University, knows WordPress 3.0 – which merged the single- and multiple-user version together – inside out. She authored a book about it, Beginning WordPress 3.0, published in July 2010 by Apress. In this webinar, this recognized WordPress and higher ed expert will share 40 useful tips, smart tricks and best-kept secrets that every higher ed WordPress administrator should know. How to install, configure and run WordPress for a high-traffic website. How to manage users in a centralized WordPress installation. How to use WordPress to solve the most common higher ed web issues. Primary audience: WordPress administrators and users, web services executives and teams, web developers, webmasters, web communications directors, project managers. May also attend: Academic computing teams, IT teams, anybody interested in learning more about managing and designing large websites with WordPress. Mike Richwalsky is director of marketing services at John Carroll University, located in Cleveland, Ohio, where he is responsible for the University’s web development and electronic marketing. Mike has managed several high-traffic WordPress implementation for higher ed websites. Matthew Muro is a web developer in the Office of Web Communications at The University of Alabama. His primary focus is back-end development with a specialization in WordPress. 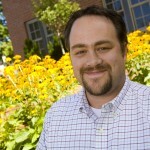 He is the developer behind the WordPress 3 theme of the University of Alabama. 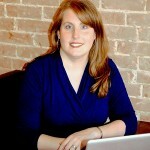 Stephanie Leary is a web developer for Texas A&M University, where she manages a dozen departments’ and organizations’ sites in WordPress. Her book, Beginning WordPress 3 (Expert’s Voice in Web Development), was released in June 2010 from Apress. Feel free to gather your team members around your computer or a larger campus group in front of a screen with an LCD projector. Webinar slides are available as PDF files prior to the sessions for easy note-taking. Access instructions will be emailed to registered attendees along with links to the presentation files on March 21, 2011 – and will be accessible from the top of this webinar page as well. A one year unlimited access to the recording of the event on-demand through a link that we will provide to you.